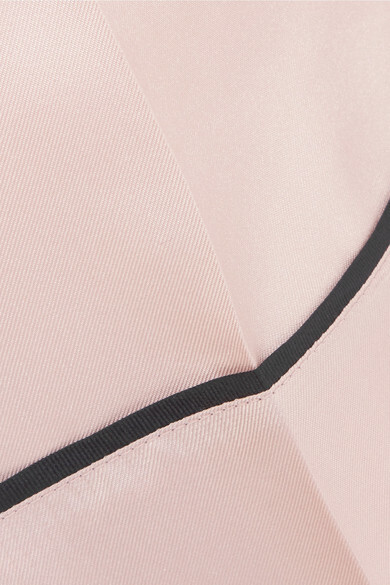 Prada's glossy pastel-pink silk-twill shorts are delicately trimmed with contrasting black piping to mirror classic pajama styles. They are gently elasticated at the back for a comfortable fit and have crisp central creases. Wear yours with the matching jacket. Shown here with: Prada Sweater, Prada Shoulder bag, Prada Pumps.